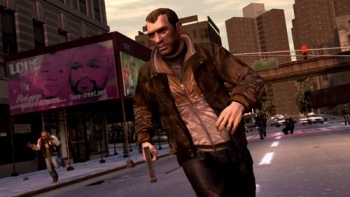 Sources say that the next Grand Theft Auto game is heading to the home of movies. The siren call of Hollywood is strong, so strong in fact, that even Rockstar cannot resist it. At least not according to the rumors, which suggest that Rockstar has been researching the Hollywood area for GTA V and plans to announce the game, and its Tinseltown setting, very soon. This wouldn't be the first time that Hollywood has inspired locations in a Grand Theft Auto game: The Vinewood district appeared in the city of Los Santos in GTA: San Andreas back in 2004. Vinewood was a pretty small part of the game however - just a few blocks - so it would have to be significantly expanded for a full game. It's hard to see Rockstar limiting the next game to just Hollywood though. Part of the appeal of the GTA games - and indeed one the series' hallmarks - is roaming around a sandbox city, and Hollywood on its own is a bit small to really fill that role. It could be that this is just one location that Rockstar is looking at, or perhaps it plans to use Hollywood as the basis for some new DLC. Rockstar has refused to comment on the rumors, so we're just going to have to wait and see whether they turn out to be true or not.